before turning the last corner over to the U.S. Base or right to the Tunnel North towards downtown : to the right there is an up-hill alley . 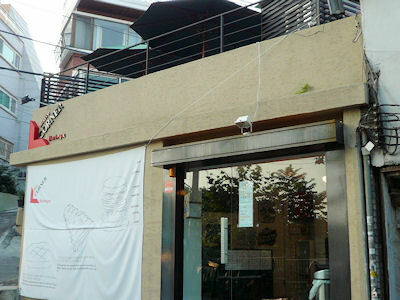 about 5 buildings up-hill is another small restaurant run by 2 young Korean enthusiasts and ribs are the thing here . 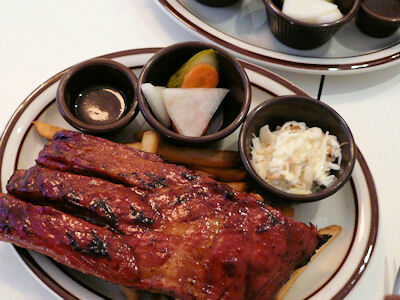 choice of full or half ribs, with two selection of sources in their original and American . hamburgers are supposed to be good though haven’t tried it yet . I love it here away from the hustle around Hamilton Hotel and very clean inside . 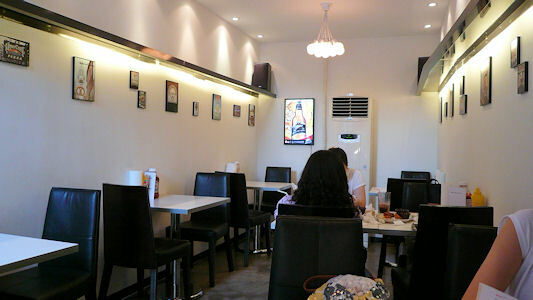 the young Korean chef and staff are courteous and usually pairs of Korean girls talking quietly of cozy life in the city . 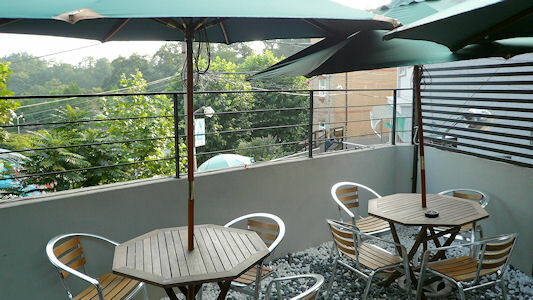 even a cozy terrace on the 2nd floor overlooking South Post which will relocate soon .